Noises can occur where parts join, for example on weld seams or screw joints. Carbon fibre frames might emit very loud noises, although these can normally be located and eliminated very quickly and easily. Disassemble the pedals and apply grease to the threads. You need to replace worn out cleats at an early stage. Make sure that the quick releases are closed and tightened with sufficient force. Picture 3 Make sure that through axles are correctly closed and greased. 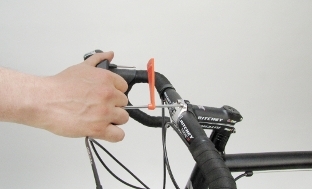 Check if the seat clamp is tightened with the correct torque. 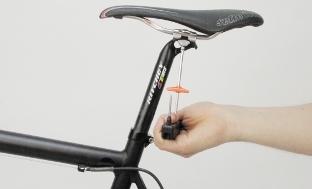 You should check as well if the seat post is sufficiently inserted into the seat tube. There should be enough grease on the post if frame and post are made of aluminium. If the seatpost or frame are made of carbon fibre, do not apply grease to either of these components. Instead, use carbon assembly paste. You need to check the head of the seatpost as well. Picture 4 Seatposts with a head made of titanium are liable to creaking sounds. You can prevent noises by spraying wax on this contact point. 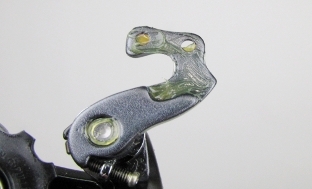 The rear derailleur hanger is often the source of noises. Dismantle the hanger and apply grease to the contact surfaces. Check if stem, brake levers, and gear shifters are tightened with the correct torque. Only apply carbon assembly paste to parts which are made of carbon fibre. If your shift cables are positioned inside the frame, there might be noise from the point where the cables enter the frame. Apply some grease to these contact points. 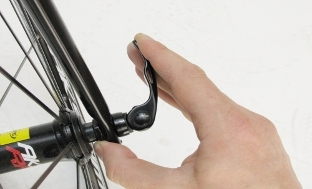 Check if the bottle cage screws are tightened with the correct torque. 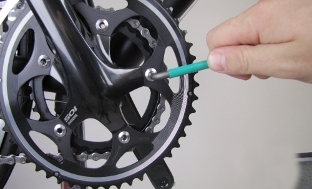 Check if the chainring screws are tightened with the correct torque as well. Ensure that all bolts and screws are tightened to the correct torque. The correct torque is indicated on the component itself, in the bike manual provided with your new bike, or here in the Technical Support Center. . 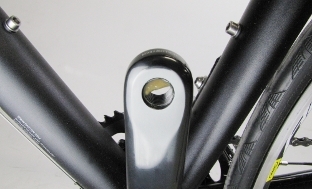 In many cases, noises can come from defects on the frame or fitted components. Check your entire bike carefully for cracks or other damage. Canyon consistently strives to ensure the quality and accuracy of the information contained in this Technical Support Center. 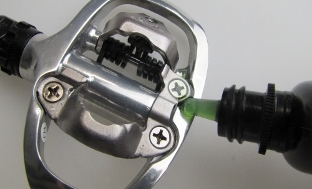 Any repairs or adjustments which you carry out on your bike are entirely at your own risk. If you are in any doubt about what to do, you should send your bike to Canyon or take it to another qualified repair specialist. Canyon gives no guarantee or accepts no liability for the any of the information contained in this Technical Support Center.